The Altria Group (NYSE:MO) and one of the world’s most iconic tobacco companies, certainly is adapting its business model to reflect the old phrase. The Richmond, Va.-based producers of Marlboro cigarettes, Altria reportedly is negotiating to acquire a minority stake in JUUL Labs, the largest vaping organization in the U.S., according to nytimes.com. A startup based in San Francisco, JUUL has been in business for more than three years and already established a significant foothold in the U.S. vaping industry. Despite criticism for advertising its e-cigarettes to teenagers, JUUL has captured more than 70 percent of the domestic market. With study after study declaring vaping as a safer alternative to smoking combustible cigarettes, it became clear to Altria’s executive leadership team that, to survive, it will need to change. To sustain a market cap of $97.4 billion, Altria needed to expand its reach into the e-cigarette market. An Altria JUUL partnership would allow them to do that in a really big way. While the cost and size of the stake have yet to be made public, it’s clear Altria will have to pay top dollar. Over the summer, JUUL, a privately held company, received an investors’ valuation of approximately $16 billion, an extraordinarily high figure for such a young company. By comparison, Altria’s value as of Nov. 28 was approximately $103 billion. The Wall Street Journal reported a deal between Altria and JUUL could be finalized by the end of the 4Q18 but negotiations could drag on past the New Year. Representatives from Altria and JUUL declined to comment on the pace of the talks. The fact that the iconic makers of the “Marlboro Man” are seeking inroads to the vaping industry signals a change in philosophy. Vaping is the trending vice. Traditional cigarettes, while still profitable, likely will continue to take hits from a growing number of vapers. Altria is attempting to do just that. 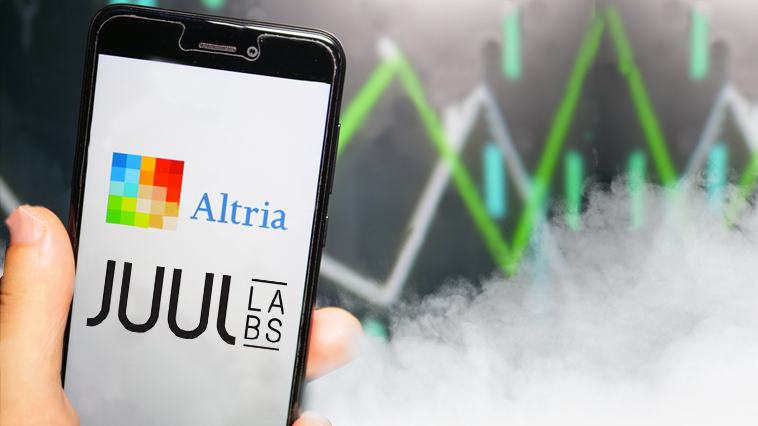 Want more vaping business insights like this potential Altria JUUL partnership? Check out our News page!